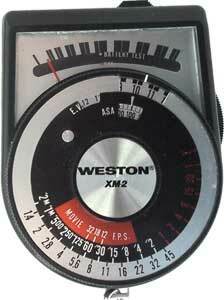 Weston was a US company but it quit making meters domestically around 1960. After that they imported them in from their English sister-company Sangamo-Weston. By the early 70s, however, Weston pulled out altogether and simply licensed their name. The Brits kept the Master V alive with the Euro-Masters, but the Japanese built three new meters under the Weston name. They were the Master 6, the XM-1 and this XM-2. The Master 6 was meant to continue the Master series, but the XMs were new and different. They were simple meters, just a pointer, a needle and a calculator dial. The XM-1 used the old selenium cell, the XM-2 was nearly identical but used CdS. One of the big problems with it is obvious: it looks cheap. The original Westons were considered quality products. Even their budget line, direct readers were thought to be good meters. It's like buying a budget Ferrari that looks and acts like a Ford Taurus. Few people will buy it—most people who care will be saddened by it. If it didn't say Weston, it might have fared better. It's actually a nice little meter. It fits the hand nicely. The thumbwheel on the side turns the meter on, off, sensitivity scale and battery check. The calculator is simple and easy to use. It has a built-in slide switch in the front that flips between incident (via a little 3D hemisphere) and reflected light. Actually, elsewhere in the world it did have different names. 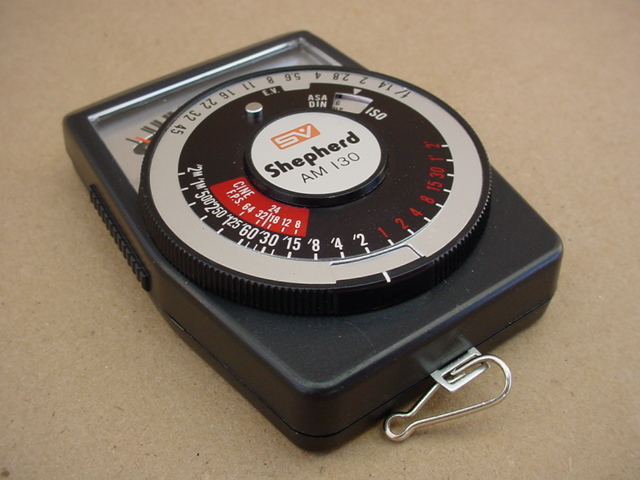 It was sold as a "Shepherd AM 130", for instance, and also as a Photopia S-EM in Europe. 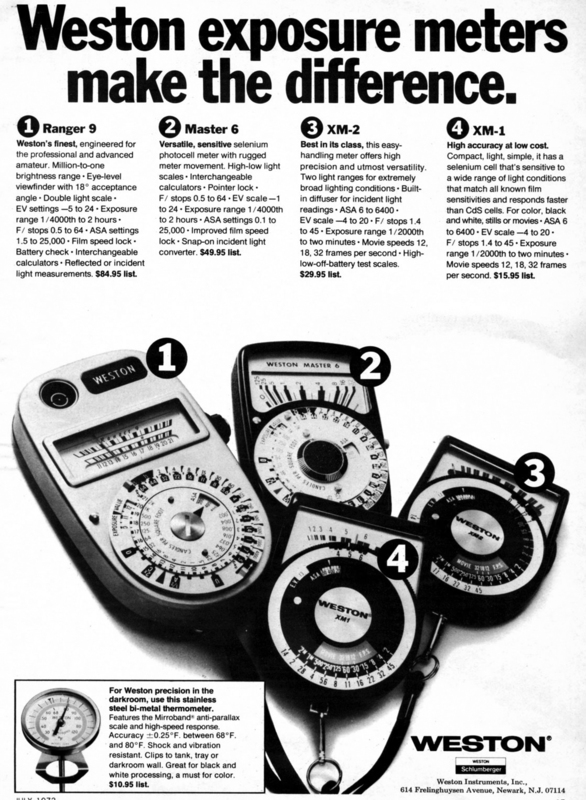 The 1977 Sears Camera Catalog lists it as the "Sears Exposure Meter" (p.35). There's also a Hama floating around. So who made it? For awhile I thought it Sekonic, but that doesn't fit. Sekonic had a full catalog and didn't need to compete against itself by supplying competing brands. Capital and Kuwano, on the other hand, were electrical instrument companies who sold meters under other names, so I think one of them made it.